Phoenix Sky Harbor International Airport (PHX) is one of the busiest airports in the USA and is ideally placed just miles from the center of Phoenix, Arizona's capital city. More than 40 million passengers travel through Phoenix Airport annually to domestic destinations and cities in Mexico, Canada and Europe. Phoenix Airport's parking options include long term and short term parking, cell phone parking and disabled parking in all areas - a free shuttle bus takes travellers from the lots to the terminals. Phoenix's Metro Light Rail system is accessible by shuttle bus; bus services also run from Phoenix Sky Harbor Airport to locations in the city and the wider Arizona area. Sky Harbor Airport has three terminals - Terminals 2, 3 and 4 - and all have generous parking facilities and a good array of dining, banking, shopping and business facilities and services. A shuttle bus runs between the terminals at PHX Airport and there are lounges for VIP passengers as well as the Phoenix Airport Museum - one of the largest airport museums in the USA. The city of Phoenix is just three miles away, and Arizona's resorts, hotels and golf courses are convenient and easily reachable. The cities of Flagstaff, Prescott, Sedona and Tucson are also nearby, as well as the historic Grand Canyon. 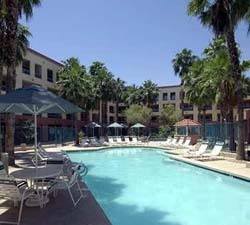 Phoenix World Airport Guide provides you with access to a wide range of Phoenix airport hotels, along with the assurance of secure booking and access to discounts offered directly by hotel groups. 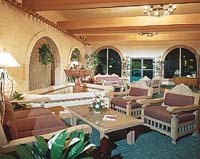 Extra services include airport car rental, airport car parking, and flights to and from Phoenix Airport.